Hong Kong: Is there anybody out there? A massive engineering and scientific project in China is expected to take us one step closer in our quest to discover if we are truly alone in the universe. The country's military-led space program is constructing the world's largest radio telescope, the Five-hundred-meter Aperture Spherical Telescope, or FAST, and Chinese state media recently released images of the amazing structure nearing completion. The massive construction project -- when completed the dish itself will be the size of 30 football pitches -- has the potential to be a game-changer for our understanding of the universe, and our search for life on other planets. When it is finished it will potentially be able to detect radio signals -- and potentially, signs of life -- from planets orbiting a million stars and solar systems. China's state-run Xinhua news agency says FAST will be completed in 2016 -- allowing researchers to detect radio signals from as far as tens of billions of light years away. Nan Rendong, chief scientist of the FAST project, told Xinhua that the huge dish will enable much more accurate detection. Its unprecedented precision will allow astronomers to survey the Milky Way and other galaxies and detect faint pulsars, and the array might also work as a powerful ground station for future space missions. And, of course, it will advance the search for extraterrestrial signs of life. In July, when NASA discovered an 'earth-like' planet named Kepler-452b there was understandable excitement. It was in the so-called 'Goldilocks zone' -- the right distance from its sun to support an atmosphere and liquid water. 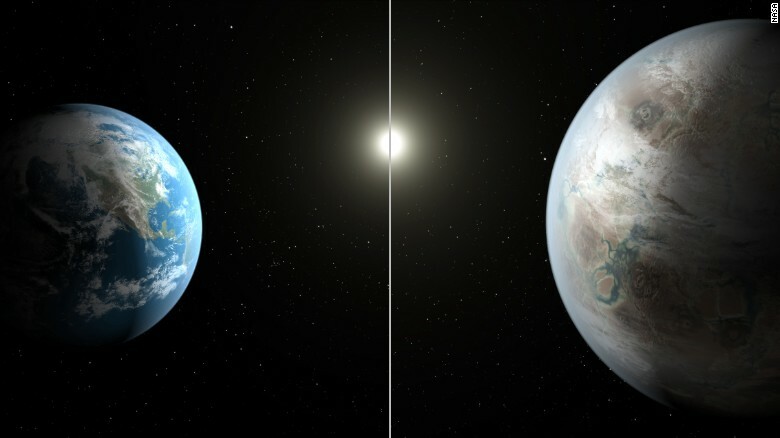 A side-by-side comparison of Kepler 452-b and Earth (artist's conception). 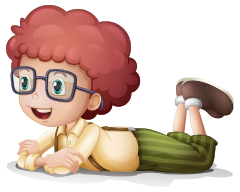 But detecting radio signals -- signs of life -- from the planet is beyond the means of our current instruments. But not for FAST. Wu Xiangping, director-general of the Chinese Astronomical Society, was bullish about its capabilities. "It will help us to search for intelligent life outside of the galaxy and explore the origins of the universe," he told state media. Construction on the FAST project began in 2011 and it is nestled in a natural indentation in Guizhou province's spectacular karst mountains. The remoteness of the location -- meaning minimal interference from other radio signals -- and the region's topography make it an ideal site for a telescope of this kind. 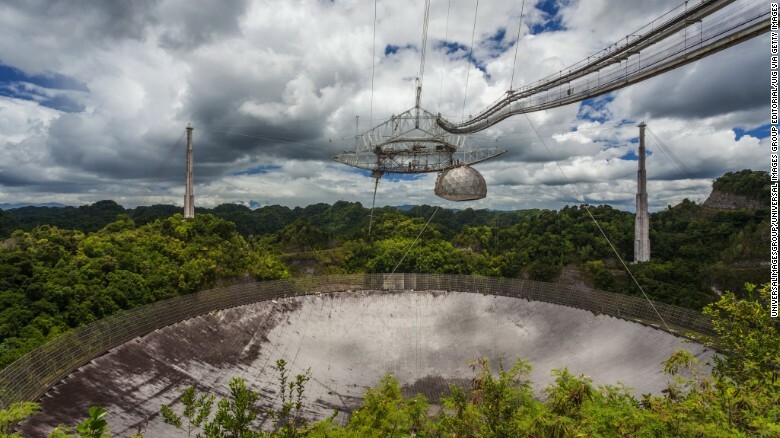 When operational, it will surpass the current largest radio telescope, the Arecibo Observatory in Puerto Rico, which has a diameter of 305 meters. The current largest single-dish radio telescope, the Arecibo Observatory, Arecibo, Puerto Rico. China's space program has come along in leaps and bounds. In 2003, it became the third nation to put a human into orbit, and since then, Chinese astronauts have walked in space, launched an orbital space lab and sent a lunar probe to the moon. Nicknamed the Sky Eye, the giant observatory is an impressive addition to an already ambitious space program and one which has the ability to change how we see the universe. There are many who think we aren't alone. It's not clear whether FAST will ever find evidence of little green men, but it will allow us to look further than ever before for them. Chinese astronomers will no longer have to rely on 'second-hand' data, officials said. Beijing is ramping up its space program, with the construction of the world's largest radio telescope used to pick up sounds from outer space. Wu Xiangping, director-general of the Chinese Astronomical Society, told Xinhua, the official state news service, that for years Chinese scientists have worked on "second-hand" data collected by other space programs, which prevented China from any major breakthroughs. The dish will have a perimeter of about a mile, according to Xinhua, and there are no towns within three miles, which researchers said was ideal for minimizing sound interference. The news of the telescope comes just two months after China announced aspirations to make the world’s first landing on the far side of the moon, a mission it says may be complete by 2020, The Christian Science Monitor previously reported. "Having a more sensitive telescope, we can receive weaker and more distant radio messages. It will help us to search for intelligent life outside of the galaxy and explore the origins of the universe," Mr. Wu said. China has also expressed interest in joining the International Space Station project. China cannot currently participate in ISS programs because it was barred in 2011, when the United States Congress passed a law, citing national security concerns, prohibiting official American contact with Chinese space programs. The single-aperture spherical telescope, called "FAST," will overtake the American-run Arecibo Observatory in Puerto Rico, as the world’s largest and most powerful upon completion, which Chinese officials reportedly say will happen sometime in 2016. Technicians began work on Thursday assembling the telescope's reflector, which is reportedly about 300 feet in diameter and made up of 4,450 panels. Each panel is an equilateral triangle with a side length of about 36 feet. The huge dish is hung over the ground supported by thousands of steel pillars and cables, Xinhua reports, with passages built below it for maintenance, and an observation platform built upon a nearby hilltop for visitors. According to Zheng Yuanpeng, chief engineer of the telescope's panel project, the position of the panels on the satellite can be controlled with an accuracy of within one millimeter. The 500-Meter Aperture Spherical Telescope (FAST) is being built in China. With a dish the size of 30 football fields, it will be the largest radio telescope in the world when it is completed in 2016. Its unique design will allow scientists to gather radio signals from tens of billions of light years away.